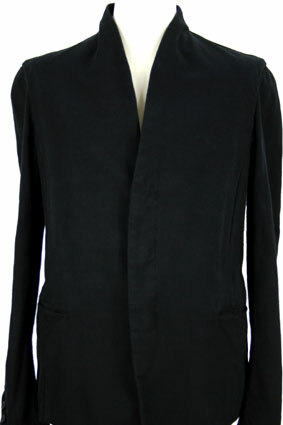 Masnada cotton linen mix fabric jacket, which matches the trousers in the same fabric. 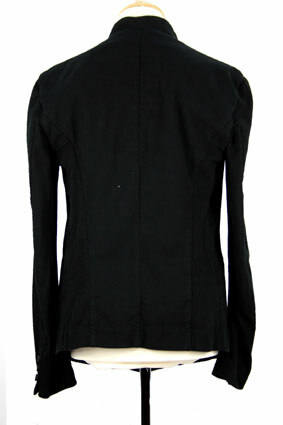 Collarless, but with slightly lifted fabric at collar. 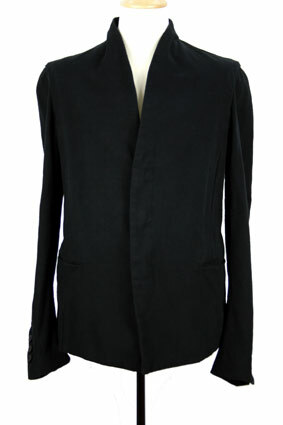 3 button fastening, buttons are hidden by placket, beautiful black buttons. 2 pockets at front. Stitch detail down front seams. 3 button working cuffs. Beautifully tailored shape. Single pocket inside. Partially lined. Seams are taped French seams. Superb jacket very stylish.